Yep RELIGULOUS (like the Bill Maher movie)..... if you don't know the movies it's a comedy about the various religions of the world. 10 man VOA - With only 9 people the raid leader wanted me on raid heal, and put a druid on MT/OT heal. We wiped due to people not staying out of the cloud. 2nd time I asked to switch to tank heals and we did just fine.... I have to say though I was feeling a little low on mana by the end of it. Heroic VH - Now this was my first real test as far as I was concerned. Being the only healer means everyone's looking at me to keep them alive. It's probably the easiest heroic as a DPS so I figured it was a good place to start. Well, let me tell you the first boss we get is Zuramat, which is maybe the hardest boss in there and I just about caused a wipe. I'm casting crazy heals and running out of mana, so I go to case Lay on Hands on myself - unfortunately I had a teammate focused, so the LOH landed on them. I ran out of mana and died, everyone else started dropping as well. Fortunately our groups RET pally had the presence of mind to cast LOH on our tank and the tank lasted just long enough to kill him (down to maybe 10% health with everyone else dead). Still we avoided the wipe which is what counts, but no thanks to me. 1) I know I've read posts that say Holy Pally mana pools are just about infinite, and I can see that in in short bursty arena's or large raids where you're getting mana back from other effects. But if you're the ONLY healer, I just don't see healing heroics without the occasional stop to drink. 2) Beacon of light - Well this certainly helps with healing, but 1 minute? Wow that's annoying to reapply all the time AND I have to go select the guy to re-apply, perhaps I should just write a macro - the annoying thing is that I need to put in the persons name every time I'm healing a new group. 3) I need to get a little better poping abilities like HOP, which means I need to be a little more friendly with my F1-F5 keys me thinks. I find that VH is very dependent on knowing the strategies involved. If you find yourself in a PUG that knows what there doing then mana should never be an issue due to minimal party damage. Zuramat casts Shroud of Darkness that causes shadow damage when hit as well as applying a stacking debuff that decreases healing by 20%. if you tell your party to stop all dps when he casts it you should be fine. Tom beet me to it. If you are healing without an addon like healbot of grid, then I suggest like Tom hinted at, useing focus. 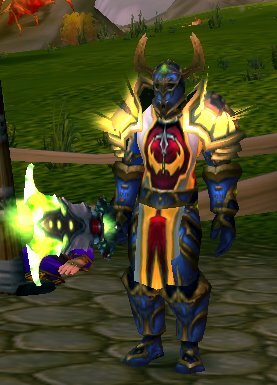 When I healed in TBC, I had a full set of macros for my focus frame. I would focus the tank, and then no matter who I had targeted, be able to heal him/her without switching. The stopwatch script is a great addition. I will have to add that to some of my own macros. These days I tank. I now /focus my healer, and have macros to cast DI, LoH, HoP, etc on my focus. Hope something in there helps ya a bit. I've got healbot loaded and it puts a little icon next to the person with the BOL so that's good. It's just annoying re-clicking the guy to select him re-applying and then back on healing in the middle of a boss fight. Also... I've wiped two VH's in a row now. On the boss that the tank needs to kite around. Both tanks just sat around the same area dispite cries of "run around the edges"... GRR..
Jesus make that 3 VH's in a row. I should write a post about this failure. The thing is I don't even think it's my fault but 3 wipes in a row I wonder. Dragon flight comes out, they go all over the place, tank has one and the other 3 clothies that make up my PUG are getting whammed on by the rest. I'm blowing all my big and instant heals trying to keep 4 people alive that are taking active damage. I JUST manage it and I'm just about OOM mana then the final boss shows up.